You know when you are so busy that you forget to do things that are extremely important? I keep “forgetting” to do things like PAINTING furniture at the new shop. So, now I am MAD at myself for not painting, and embarrassed about all the brown furniture at the shop. 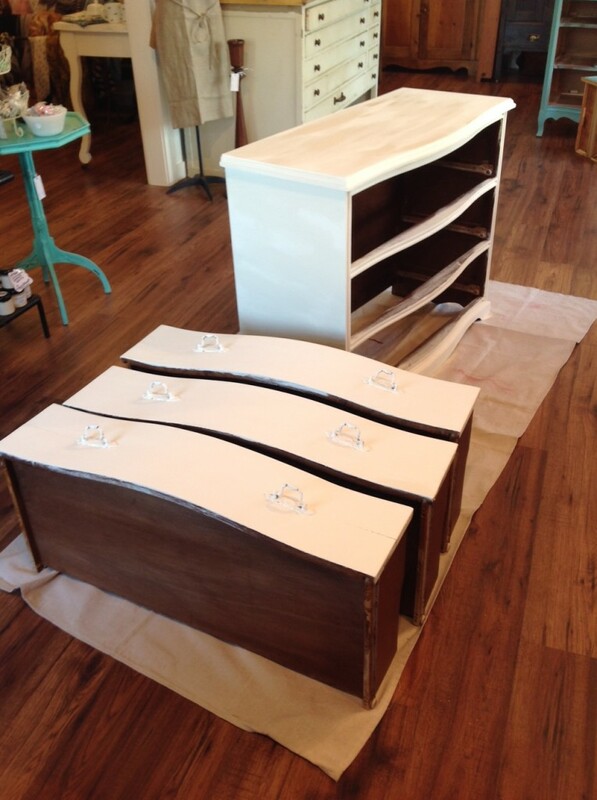 That’s why I decided to challenge myself and paint 3 dressers in 3 days! I am so sorry I forgot to take a picture of the black dresser BEFORE… so I took it after I had taken the drawers and handles off. 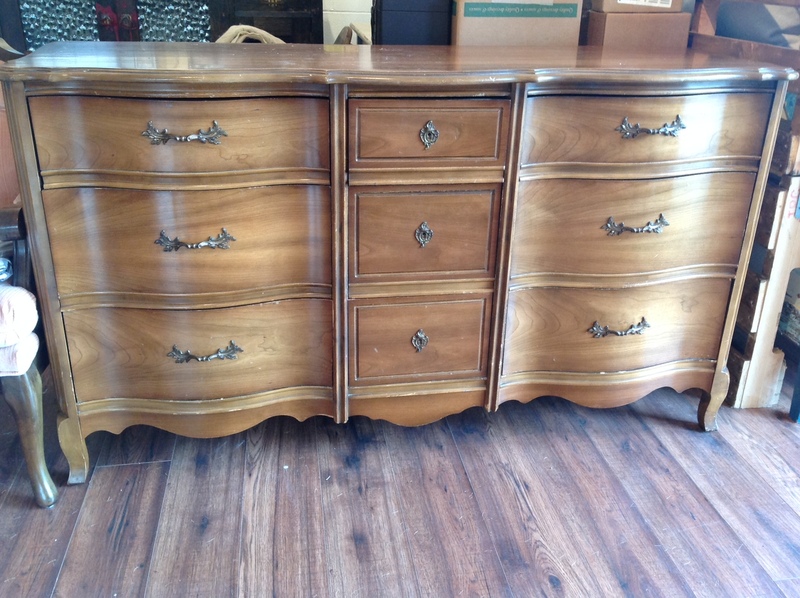 At the end of Monday, I had done 2 coats in two dressers and 1 coat in one dresser. 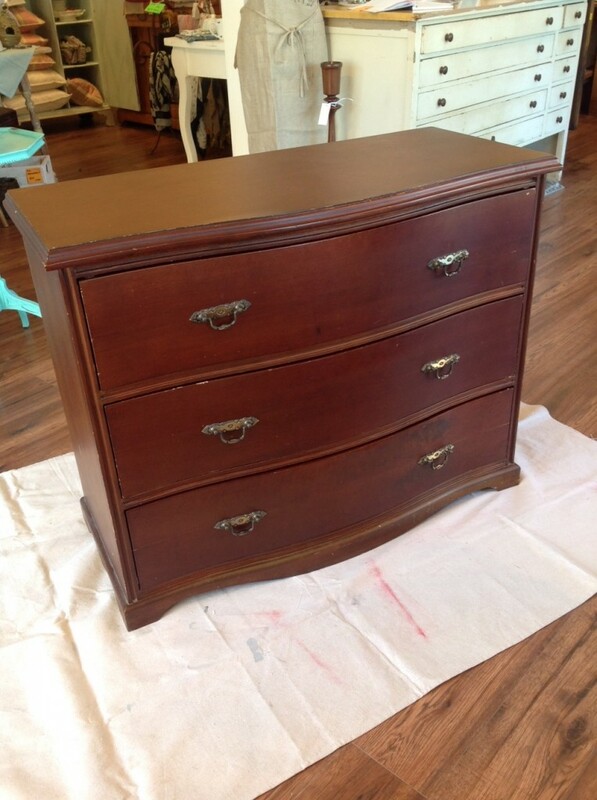 On Tuesday, I did the second coat on the black dresser, some re-touches on the white dresser and also distressed them all. 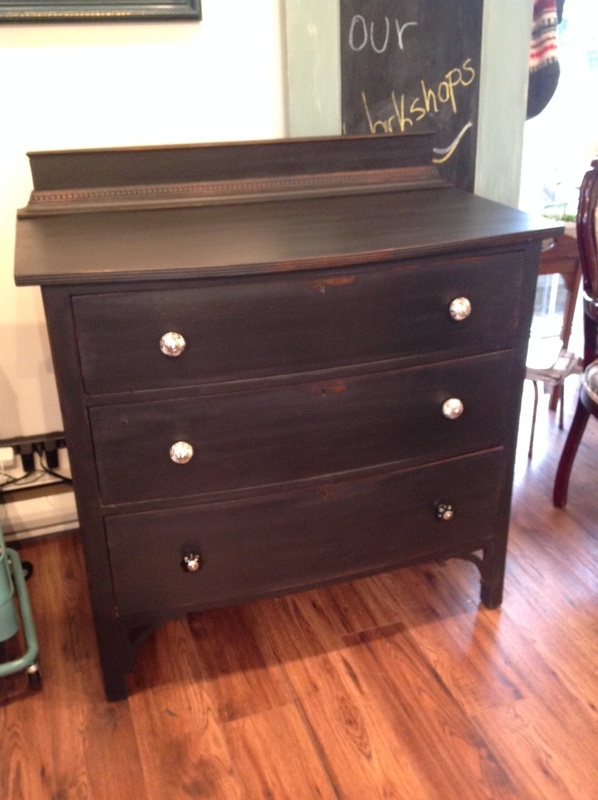 The white and the black dresser were distressed with a wet rag, which is my favourite process. 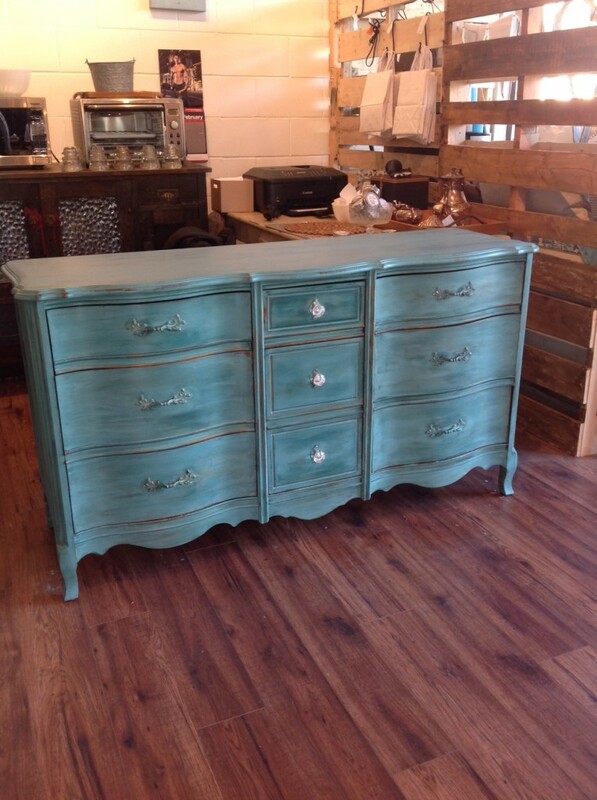 The green dresser is for two adorable clients (that became instant friends) that are opening a coffee shop. 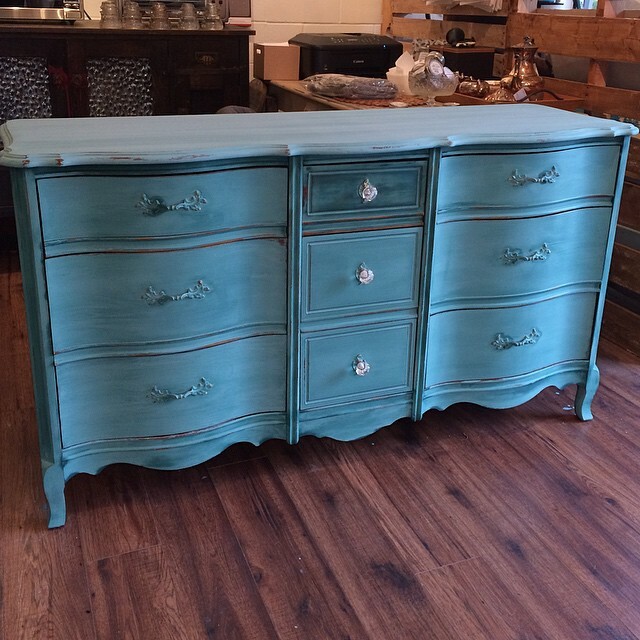 I find that the furniture “speak” to me, and the green dresser “asked” to be sanded. 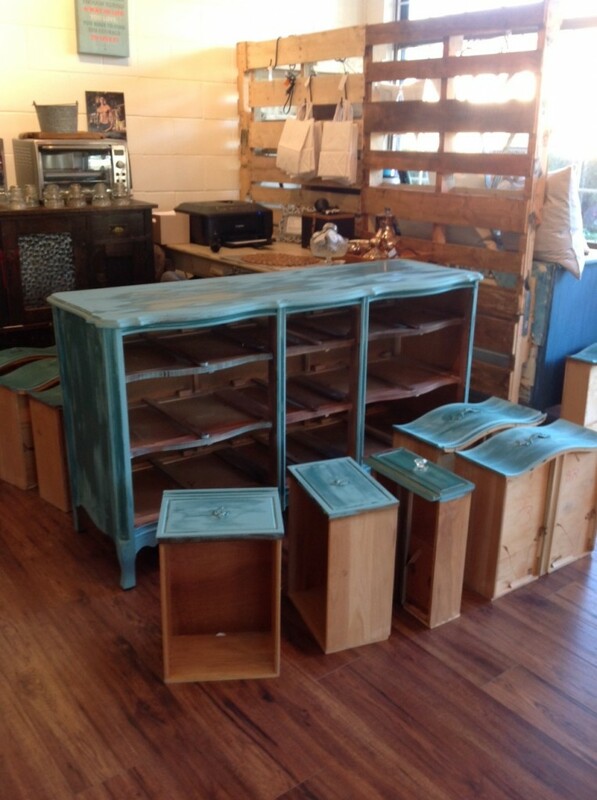 It was a beautiful day and I sanded all the drawers right outside of the shop. The sanding was minimal, just to distress them. 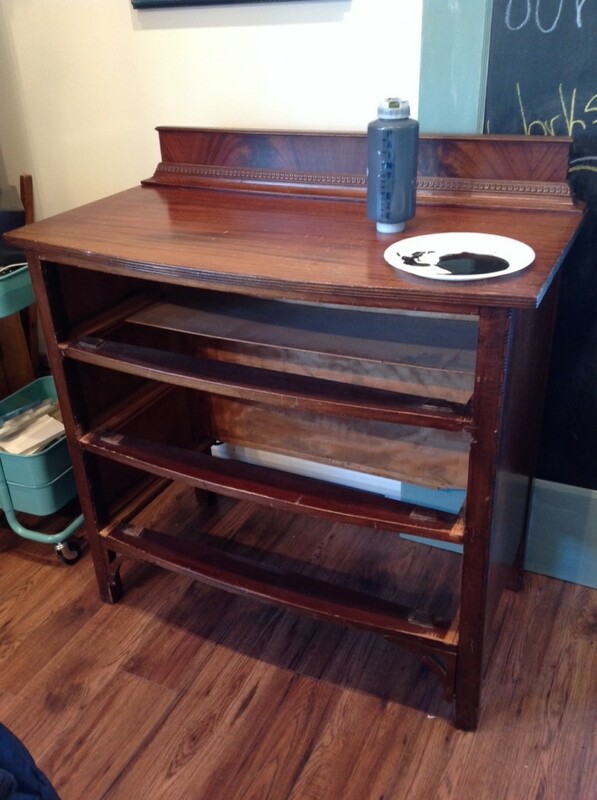 On Wednesday, I waxed the white dresser, varnished the black dresser and waxed all the drawers on the green dresser. 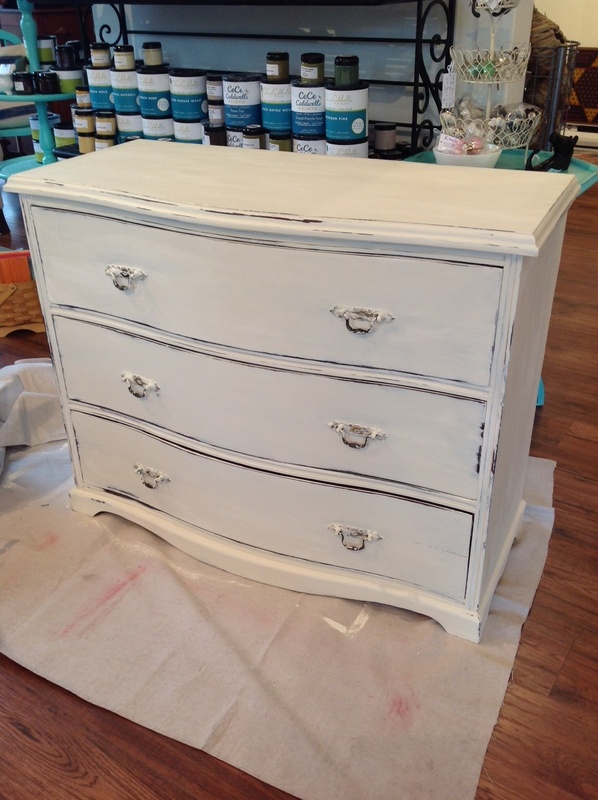 The knobs on the Black dresser will match; I only had 4 of the black and white knobs I wanted. 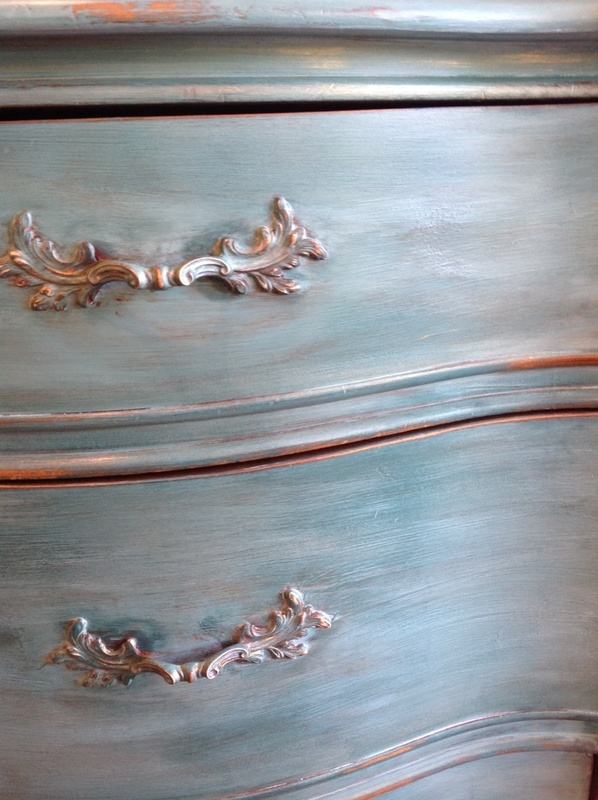 The green dresser needed more work: I had to give it a second coat of clear wax, add dark wax and also a few touches of gold and graphite. I considered my challenge a success! It definitely helped me to focus, and works towards my deadline. I got most of the stuff done in 3 days! The shop looks so much prettier with the new painted pieces. Do you have something you want to do, too? Challenge yourself and tell me about it!